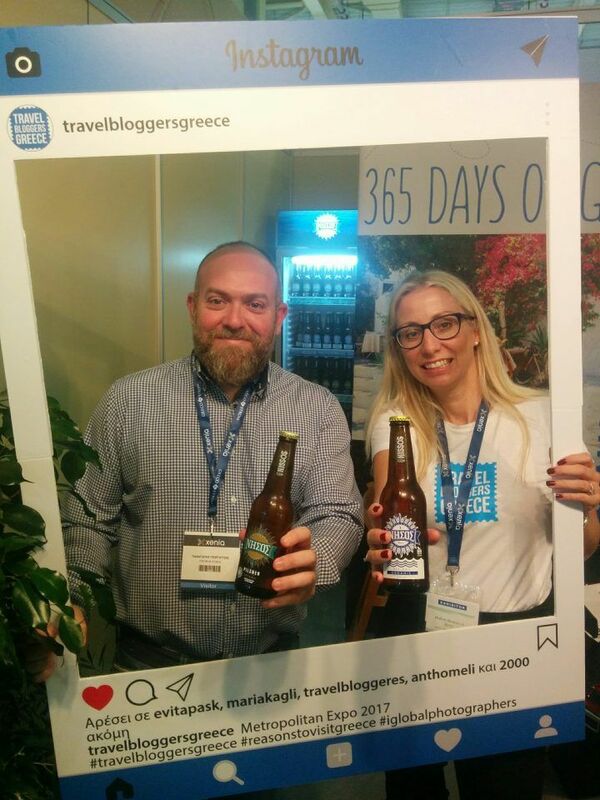 Travel Bloggers Greece at Xenia, the prestigious hospitality trade exhibition in the Athens Metropolitan Expo this month. 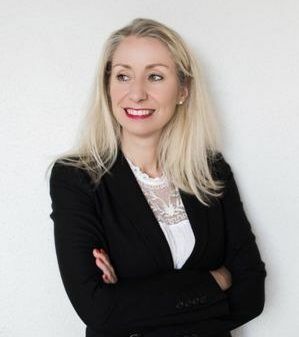 This invitation was a wonderful opportunity for me to represent this great team of professional travel bloggers that I am part of, as well as my Family Experiences Blog. 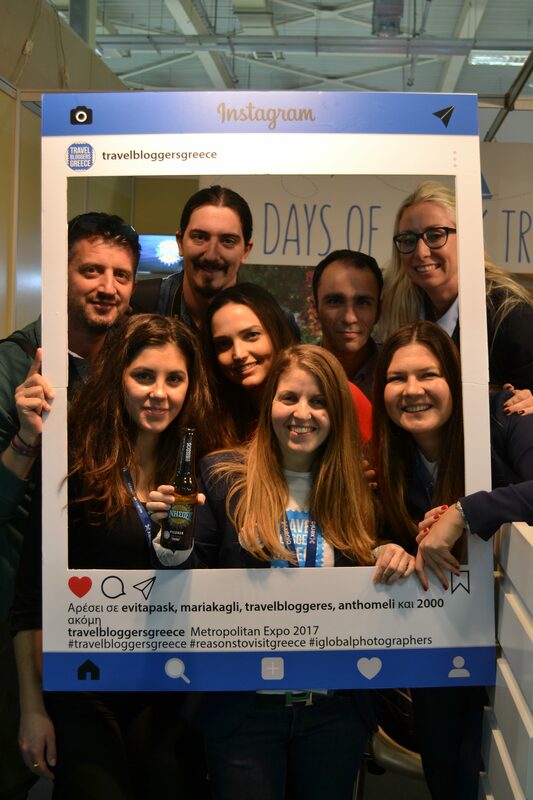 Travel Bloggers Greece is the first and only travel blogger networking group in Greece. For almost three years, we have been collaborating and promoting Greece. 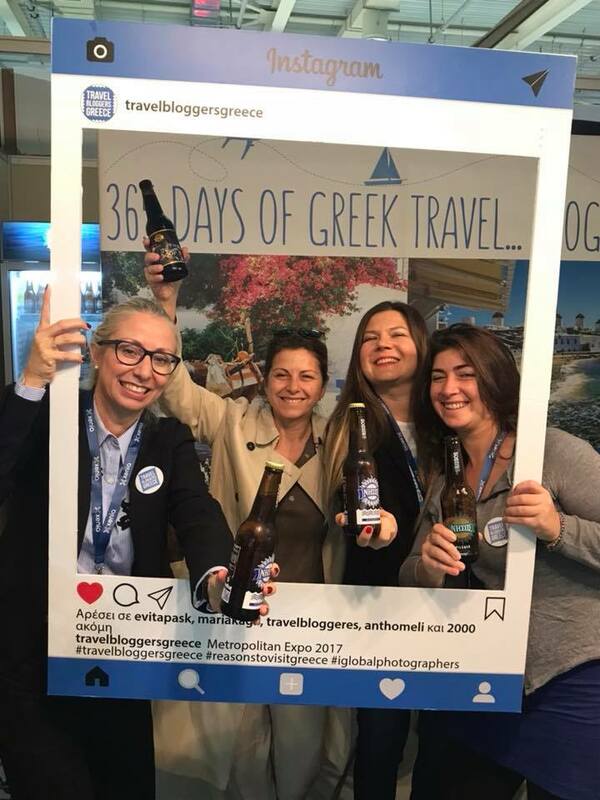 My Travel Bloggers Greece colleagues are Greeks and expats of different nationalities who live in Greece and promote Greece as a travel destination around the world in 9 different languages. We promote to more than 623,000 viewers per month and more than 222,000 social media followers. We have worked successfully with many destinations and hospitality businesses and tourism boards around Greece, covering different types of holidays from luxury and family to adventure and independent travel. We promote Greece with authentic travel experiences in articles on our websites and social media posts. We have traveled and worked together so closely and our hard work paid off. 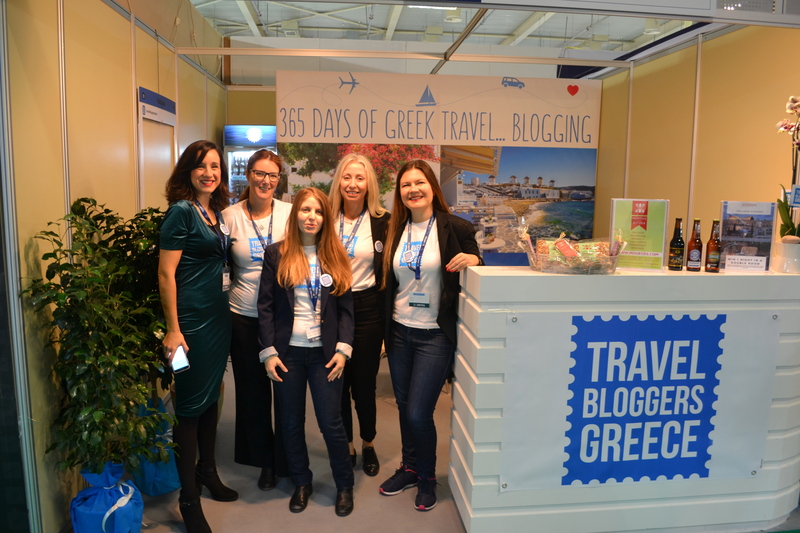 It was the first year for Travel Bloggers Greece at Xenia. Xenia is the most important commercial and social forum for the hotel industry in Greece. This premium exhibition is exclusively targeted at professionals from the hotel and wider hospitality industry. 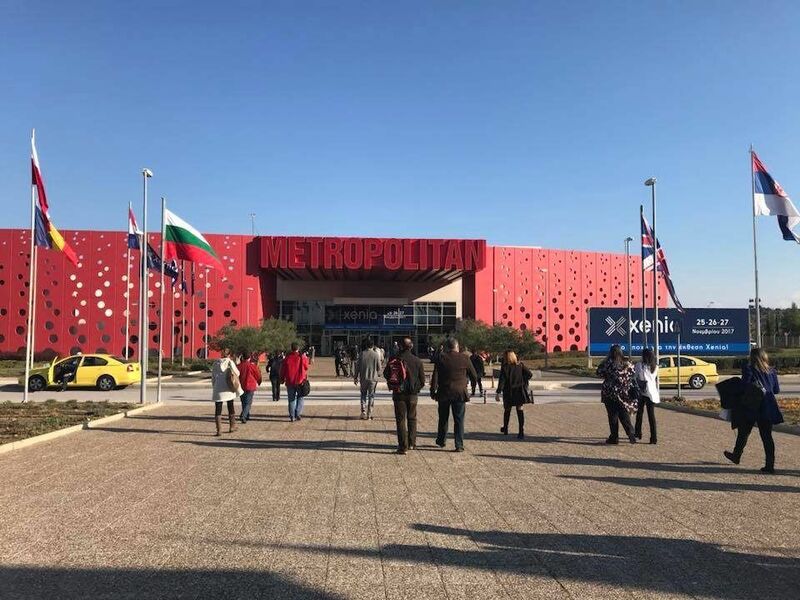 Xenia was held on on November 25-26-27, 2017 in the Metropolitan Expo, the largest exhibition center in Greece. Professionals have the opportunity to come into contact with the leading companies providing hotel equipment, technology solutions and online services, companies specializing in construction, renovation and energy saving, as well as food industry suppliers, whose services apply to key areas of hotel operation. 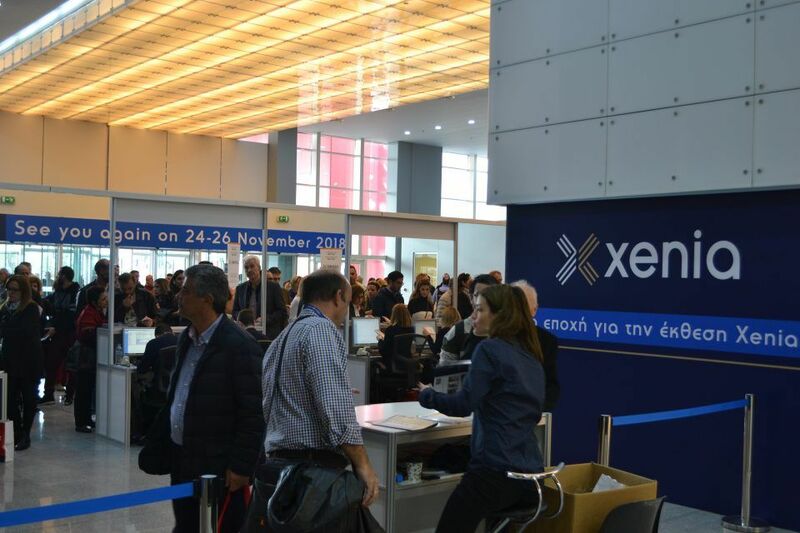 The companies and organizations exhibiting at Xenia cover the entire range of products and services pertaining to the construction, renovation, decoration, equipment and supply of Hotels, Hostels, Rooms to Let and Camping. The main exhibit categories are the following: Construction – Decoration – Energy – Automation, Hotel Equipment, Kitchen Machinery and Equipment, Food & Beverage, Digital Technology. 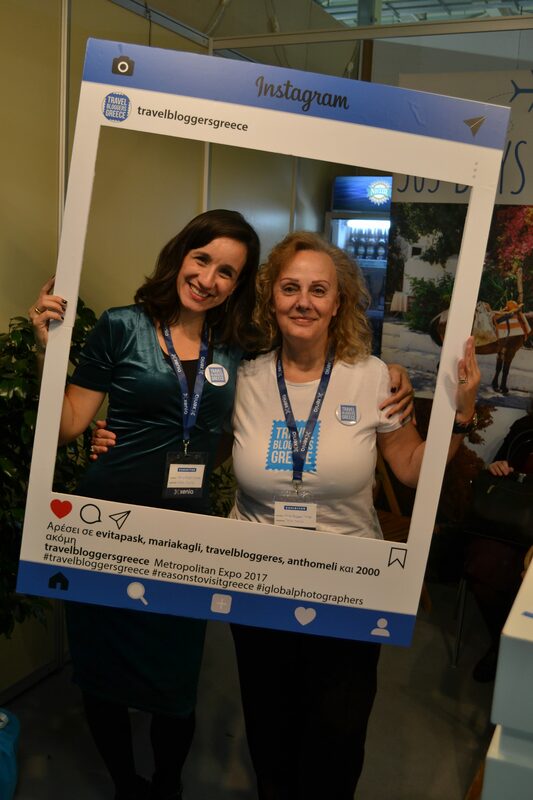 Xenia was a great change for us Travel Bloggers to invite exhibitors, guests, colleagues and (future) partners from Greece and beyond to come and meet us. 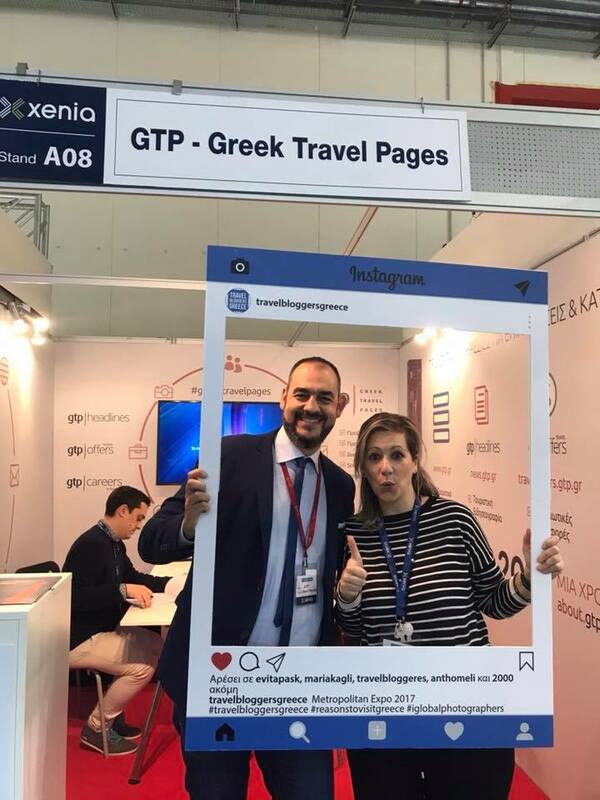 For three days, our stand offered the opportunity to exchange ideas and discuss ways of promoting Greek destinations to markets abroad, to make new connections and partnerships. Digital marketing is the future of tourism marketing and Xenia offered us a large platform to promote our vision and services. Our goal is to inspire and influence potential customers to visit Greece. We aim to promote Greece as a 365 days travel destination. 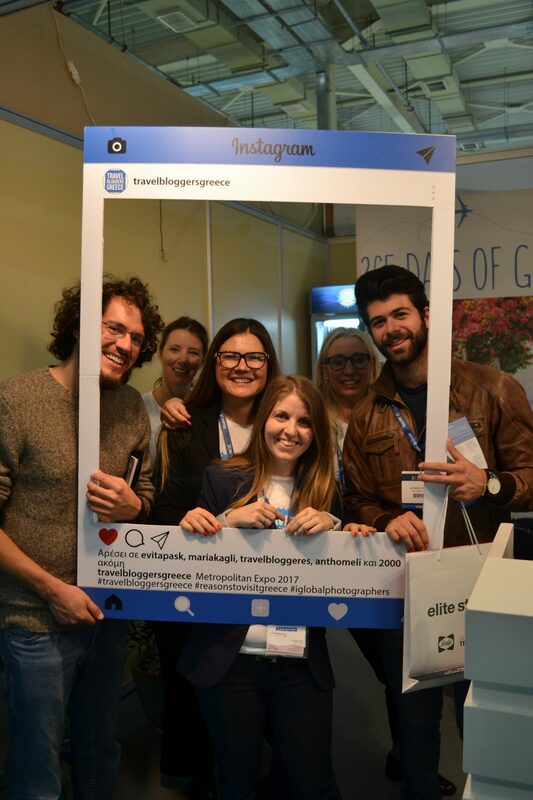 Besides meetings and discussions, we organized a contest, small parties and we had fun with our Travel Bloggers Greece Instagram photo booth. Below is the team with some of our guests representing various fields in Tourism and social media. 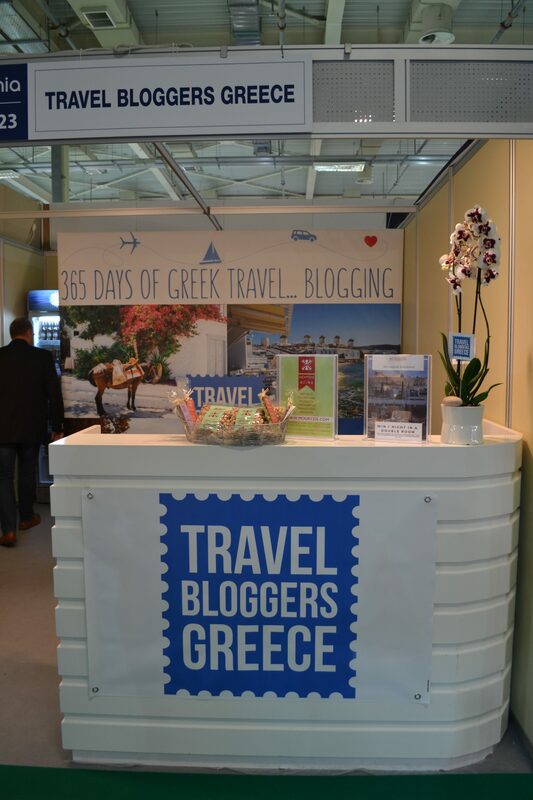 Not only did we successfully promote Travel Bloggers Greece at Xenia. Our representation at the exhibition also offered an amazing team building experience that is so typical of our network. We are a group of people with our own individual blogs with our own audiences and niches (Family, Luxury, Independent and so forth) and we are united as a team. We have traveled all over Greece together and we have one common goal: promote the Greece that we all love so much. We seek to cooperate and help each other, we have all one common belief; together we can do more! 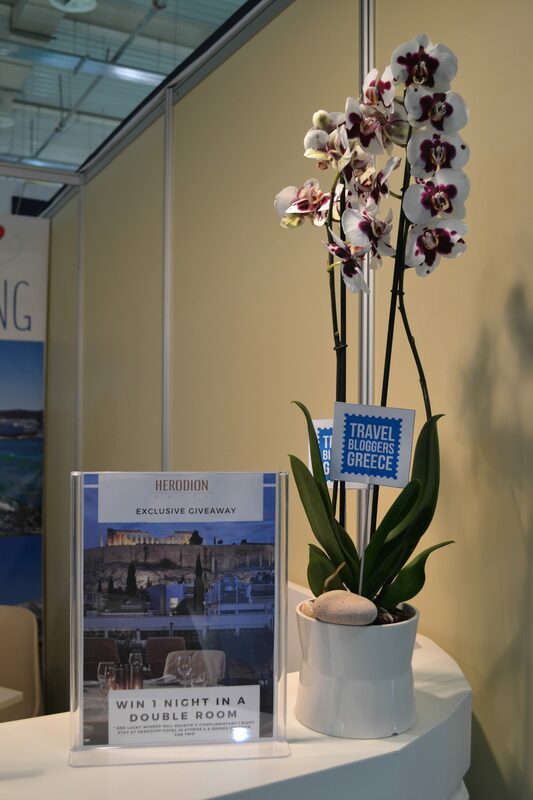 We thank our accommodation partner Herodion Hotel Athens who also offered the grand prize for our competition. We thank Golden Transfers for the building and transportation of our beautiful stand and the transfers of our people. 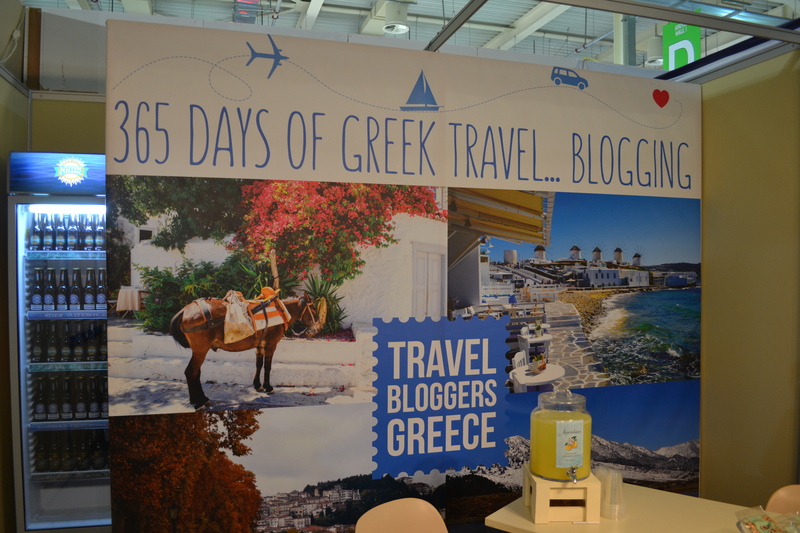 Our TBG banner promoting Greece as an all year destination and our photo booth was created by Call for Mom. Plants were offered by Flower Wishes Kalaitzi from Alimos and our Travel Bloggers Greece badges were created by www.dimiourgoume-mazi.gr. 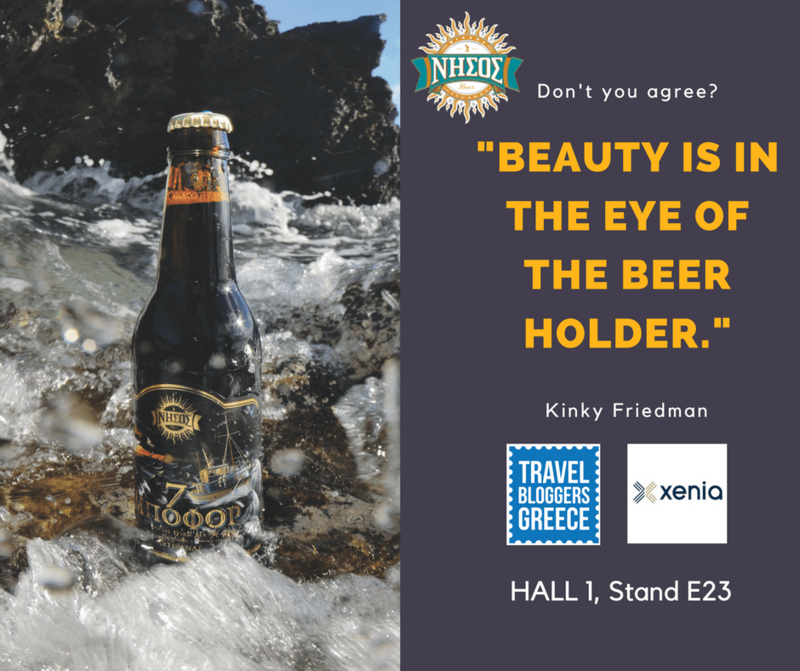 Nissos Beer – Award winning Nissos beer is from the Cycladic islands. 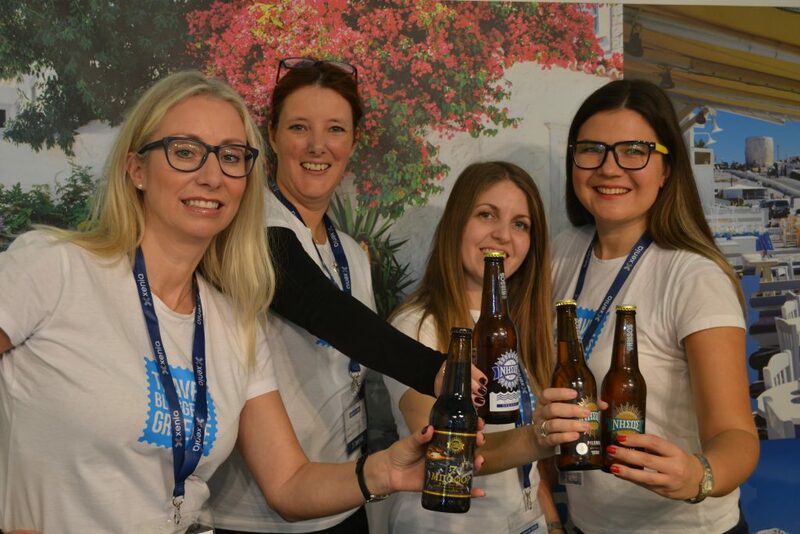 It is an all-natural artisanal beer with unique flavors produced in a traditional way. 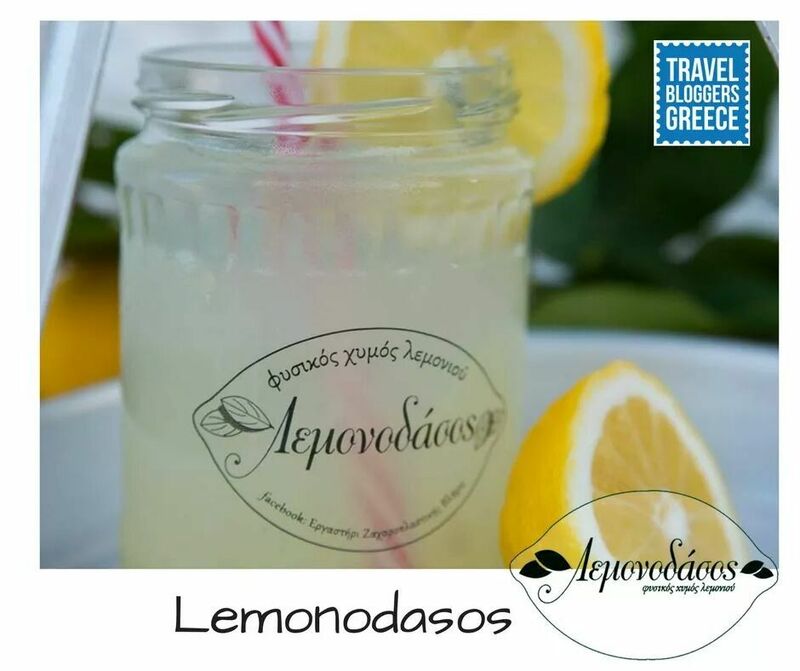 Lemonodasos – Fresh lemon juice from the Saronic island of Poros was offered by Vlachos Patisserie. Besides lemon juice, the company also produces traditional sweets and desserts. 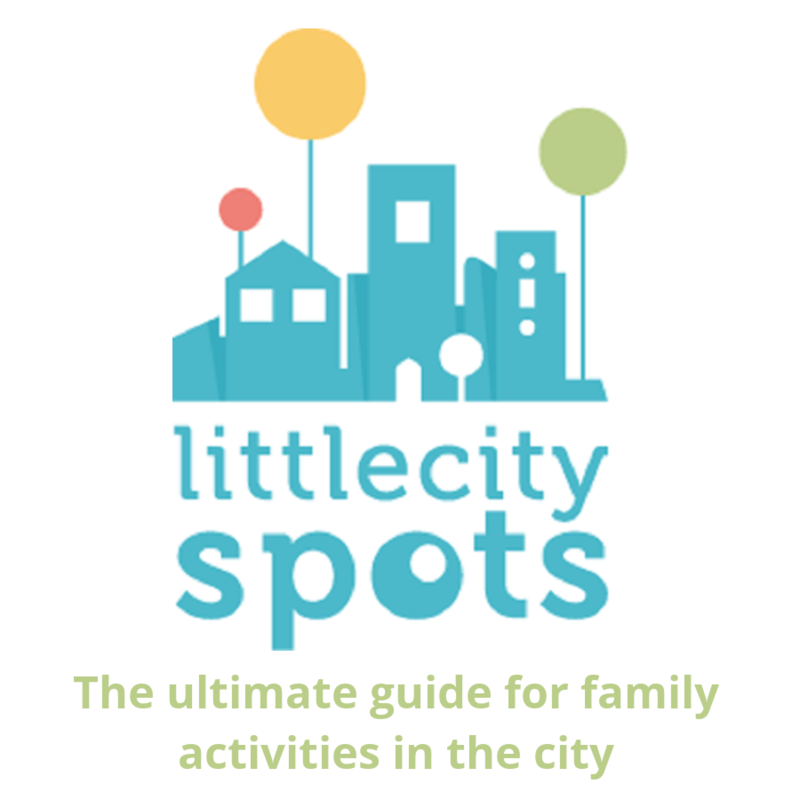 (More information on the lemon forest in Poros can be found in the post holiday in Poros island with kids. 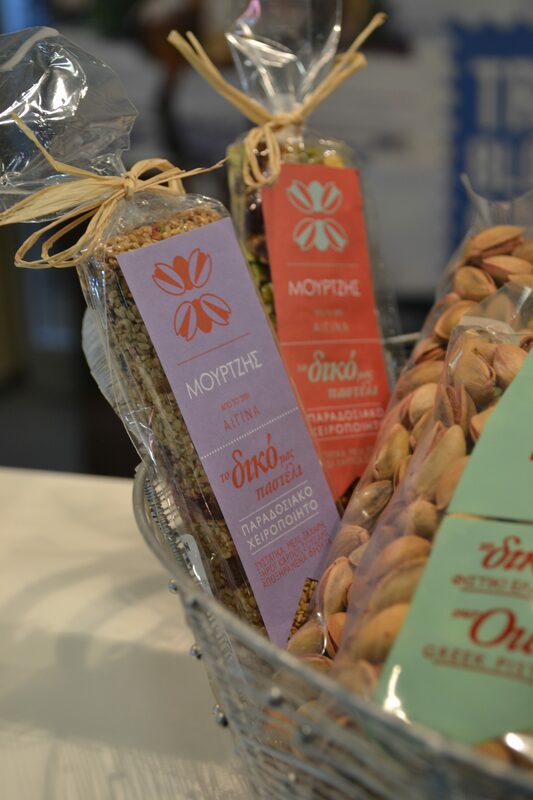 Mourtzis Traditional Sweets – offered us Artisan Pistachios and sweets from the Saronic island of Aegina. 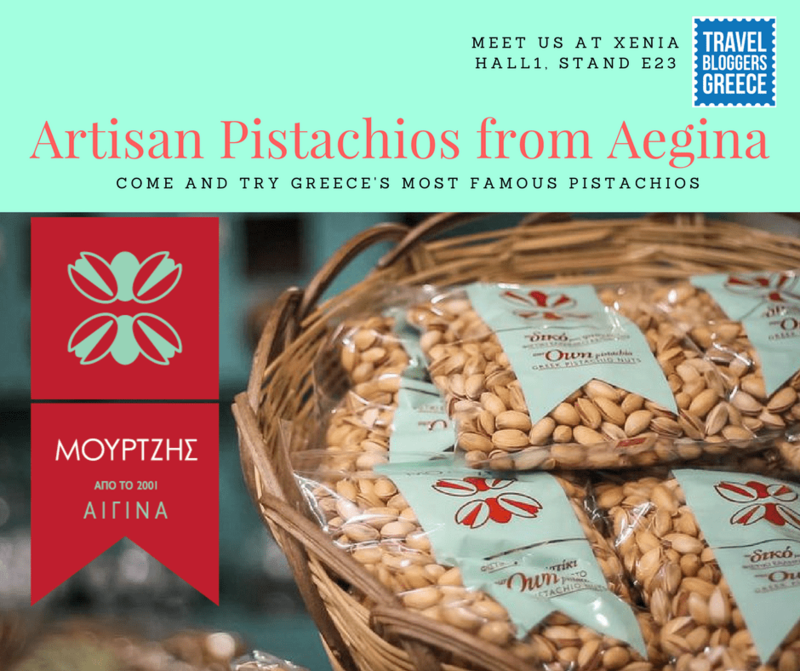 We also thank Greek Travel Pages and We Love Aegina, for their help and support. 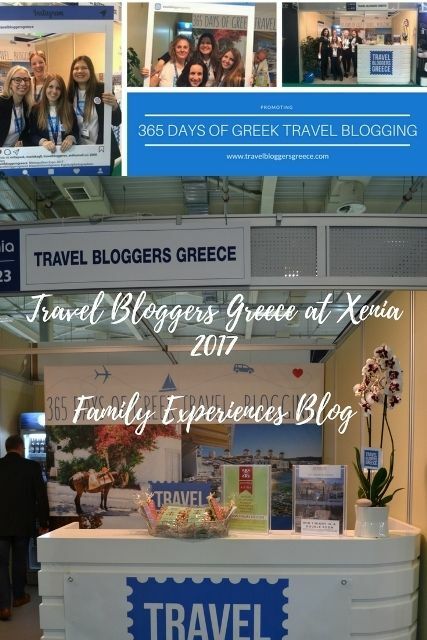 Last but not least, we thank Xenia for inviting Travel Bloggers Greece at Xenia 2017. Do you want to promote a destination in Greece or improve the visibility of your tourism business? 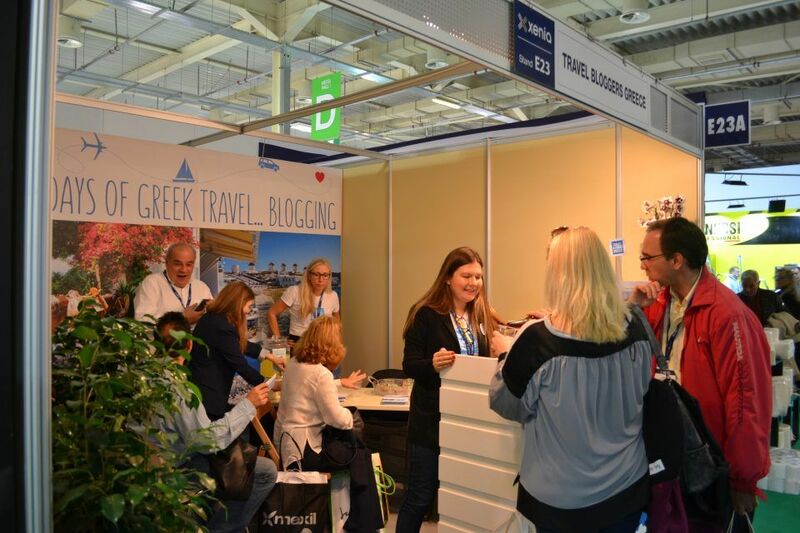 For more information on Travel Bloggers Greece and our services, head to our website. See our list of members with links to their websites – and consider how Travel Bloggers Greece can help you.